I spent some time in Calistoga over Thanksgiving and went on a hot air ballon ride over the Napa Valley with my family. 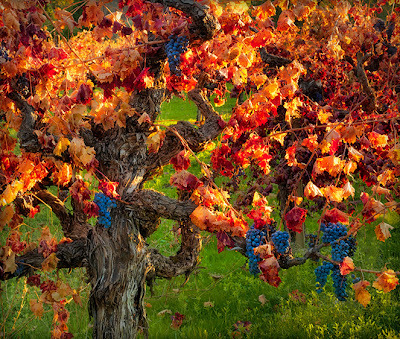 Autumn Colors are on the decline there but this is one of California's great locations for late season autumn colors. 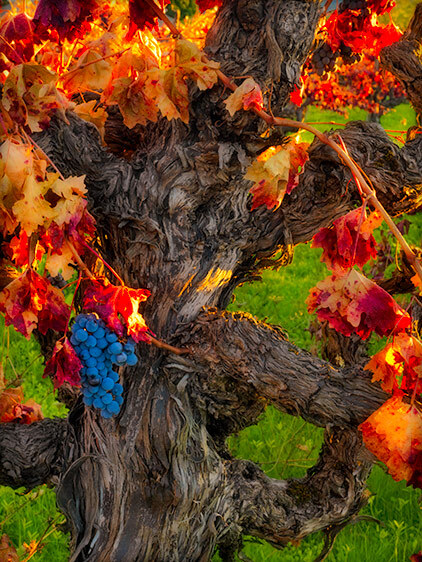 All the vines turn wonderful shades of red and yellow. Some unharvested vines still have grapes on them. I have added a few images to my Wine Country Prints portfolio from this trip. These images were all retouched with the new Photo Tools 2.6 Professional Edition by On One Software. This set of tools provides many options for giving images a boost in color and ambiance. 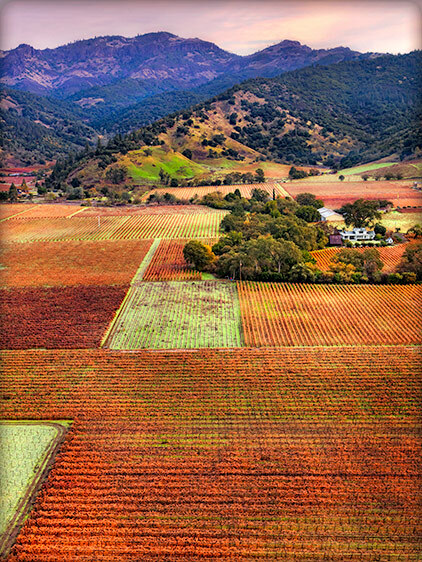 Since the lighting was somewhat flat during the time we were ballooning I did quite a bit of retouching to the image Autumn Vineyards (which was taken from the balloon) to give it some pop and interest. I used the Hasselblad H4D handheld for my shots from the hot air balloon, with the 50-110 zoom. OnOne software has launched the Masters Page on their website which I am pleased to be a part of, in company with some wonderful fellow photographers.